There’s one thing that lies at the heart of every business: customers. Customers are the reason why businesses flourish, and their shared passion for your craft is what makes running a business so rewarding. For many business owners, customers are more than just patrons - they’re your regulars, your advocates and your friends. In other words, they’re your people. The Internet is connecting more businesses with their people every day. However, our users tell us that finding these loyal customers can be complex and time-consuming. We believe it shouldn’t be. That’s why we are happy to introduce Google My Business - a free and easy way to find and connect with your people, wherever you are. 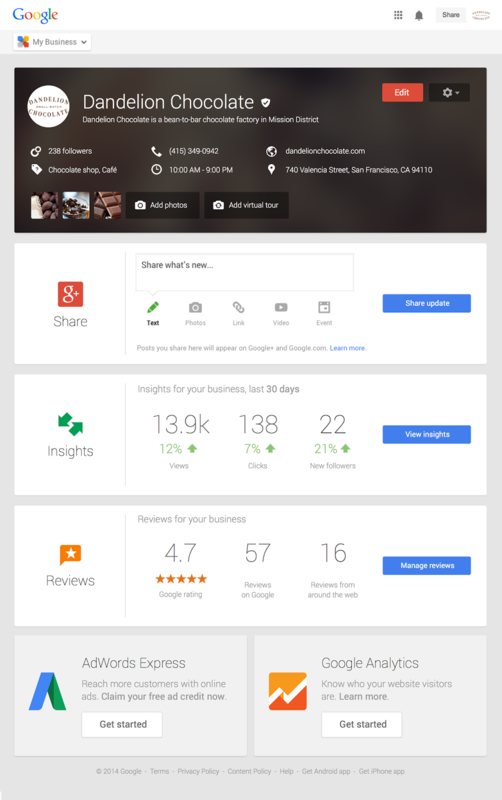 In addition to new businesses getting started with Google My Business, we’re also upgrading current users of Places for Business and the Google+ Dashboard to this new experience. Businesses with a passion for everything from beautiful hand-made hats and fresh crab cakes, to the best local pale ale, are finding their people with Google. To learn more about how you can find your people, visit google.com/mybusiness. Updated on June 24 to include link to iOS app.